Alex Kidd was Sega's previous mascot until the Sega Mega Drive/Genesis reached fame and Sonic the Hedgehog replaced him. Alex Kidd's most prominent features are his large pointed ears, red jumpsuit and enormous sideburns. Hailing from the Planet Aries, he is trained in the martial art of Shellcore, which enables one to alter the size and toughness of their hands through sheer willpower, and break objects as strong as solid rock with their fists alone. Whilst he initially lived alone as an orphan on Mount Eternal, he learns from a dying man that he is in fact a lost member of the Radaxian Royal Family, son of King Sander Radaxian and brother of Prince Igul, the latter of whom had been kidnapped along with his fiancé, Princess Lora, by an usurper known as Janken the Great. As a result, Alex Kidd set out on a journey to restore the kingdom, discover the whereabouts of his father, rescue his brother, and put an end to Janken's uprising. After he succeeds, Prince Igul is crowned King of Radaxian, and Alex Kidd, with his martial arts, is granted the position of Defender of the City. However, he eventually sets out on another journey later on to search for his missing father. Segagaga is a Dreamcast game where you get to take control of Sega to help it win the video game war- naturally, this was before they bowed out of the console race back in 2001. At one point, you run into Alex Kidd, who relates his tragic story of how he used to be the mascot of Sega, but was demoted in favor of Sonic the Hedgehog. Instead of starring in video games, he's now forced to work retail at one of Sega's shops. 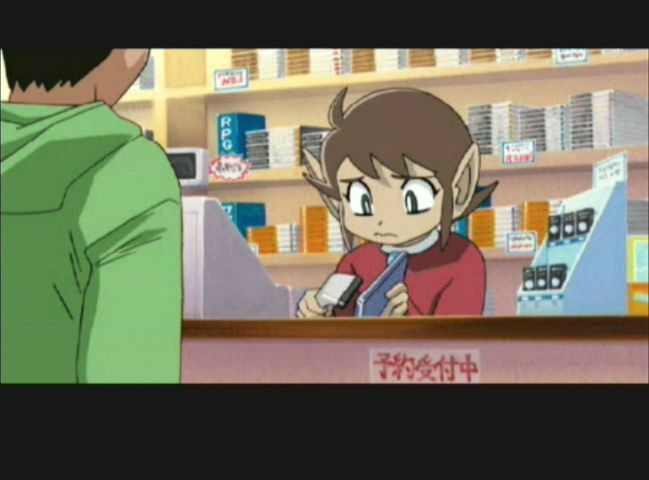 This is a sad yet comical look at Alex Kidd. Alex Kidd appears in this game as an unlockable, playable character. This game marks his first playable 3-D appearance. Alex Kidd is a playable character in the multi-platform racer Sonic & Sega All-Stars Racing. He rides a red motorcycle named "Sukopako". For his All-Star move, he hops into a pedal-powered gyro-copter named the "Peticopter", allowing him to fly and shoot damaging projectiles at opponents. Alex Kidd Alex Kidd Sukopako Motorcycle Hops into the Peticopter, allowing him to shoot damaging projectiles at opponents. Alex Kidd is an unlockable character in Sonic & All-Stars Racing Transformed that unlocks automatically when the system's clock reads any time after December 25, 2012. Because they were released after this date, the Steam and 3DS versions have Alex Kidd available from the start. His traditional red and yellow jumpsuit is replaced with a Santa Claus outfit (consisting of Santa's traditional coat, boots, gloves and belt, but without the hat) to reflect his status as a holiday bonus. His All-Star Move involves "Rock, Paper, Scissors" firing two gigantic hands out from the sides of his vehicle, hitting adjacent racers. The character Chip from Sonic Unleashed has similar appearances to the Alex Kidd version off of Segagaga. Alex Kidd seems to have some monkey-like features, having large ears and hands, as well as having thick brown hair with prominent sideburns. This is because he is predominantly based on Sun Wukong, the main protagonist of the Chinese folk tale Journey to the West.